The ATP season concluded in rather surreal fashion as Roger Federer was forced to pull out of Sunday’s final at the O2 with a back injury meaning that Novak Djokovic is the World Tour Finals champion for 2014. 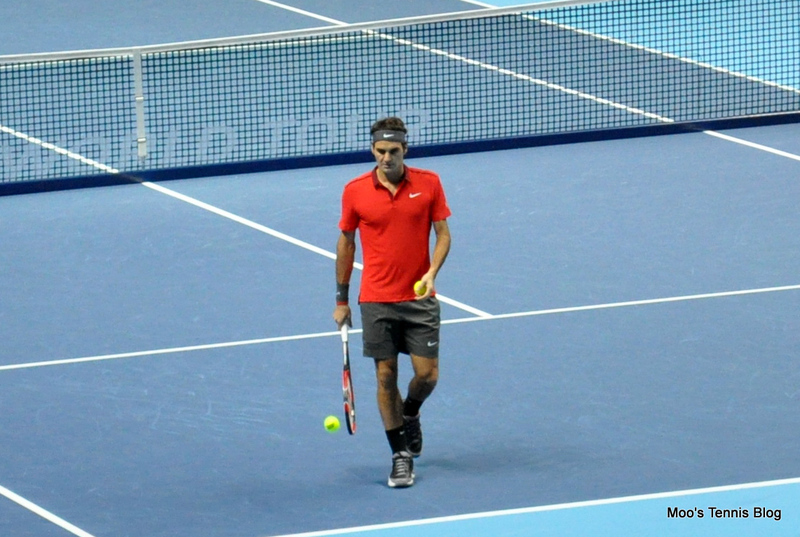 Rumours were circling after Federer didn’t show for his practice session at 3pm. After another brilliant doubles match which saw the Bryan brothers win their fourth WTF title and tenth title of the year, Federer accompanied the tournament director, Chris Kermode onto court to officially confirm his withdrawal. It’s a horrible, horrible situation and in a weird way, kind of sums up the 2014 edition of the World Tour Finals. The ATP did some impressive scrambing to get something for the fans with Djokovic and Murray taking to the court for a semi-serious match (why didn’t they just play an exhibition, give them microphones and make it FUN?). Tickets for the final will have been well in excess of £100 for seats in the lower bowl so it’s nice that the fans get something in addition to the doubles. Federer now faces a race against time to be ready for next week’s Davis Cup final. It was a tough call to make, but respect to Roger for making it and acknowledging the crowd. This is a really sad and anticlimactic way to end the year. It’s been an absolute ball following the 2014 season here on Moo’s Tennis Blog. Thanks to everyone who has read my hundreds upon hundreds of previews and to anyone who has taken the time to write a comment. I’m relieved for the off-season because I need a break from this tennis lark… I know that after a week though, i’ll be desperate for some live tennis! I’ll be watching the Davis Cup final, but i’m now switching to off-season mode. On Monday, i’ll be starting my countdown of my favourite WTA matches of 2014. The tennis may be over, but I hope you will still come back over the next two months as Moo’s Tennis Blog reviews the year that was 2014. Thanks a lot Moo for all these lovely reviews, i am a big fan and follower of yours. Thank you from me also. I don’t pay attention to most tennis blogs, but I value your opinions and predictions and look forward to sharing them again in 2015! Cheers Andrew, much appreciated. Thanks for taking the time to comment on my posts over the last couple of months.